Have you ever thought about what you would do if you are seriously injured in a car accident caused by a reckless driver? What if you are a victim of medical malpractice? Or what if an insurance company you trusted to be there for you in a time of trouble, just isn’t? 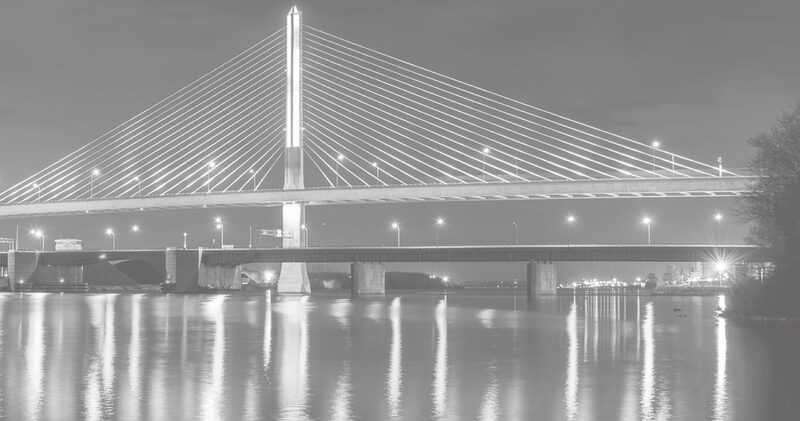 Whatever legal problem brings you here, we’d like you to know that the attorneys at Lafferty, Gallagher & Scott, LLC have been helping the people of Toledo and all of Ohio since 1973 and that we can be your bridge to recovery and a better tomorrow. At Lafferty, Gallagher & Scott, LLC, our experience with personal injury claims, medical malpractice actions, and the tactics of insurance companies goes back a long way. This means that when you come to our firm for help, we’re not simply going to talk with you for a short time and then refer you to another attorney because your case is too difficult or complex. Instead, we do what we promise to do. We’re very experienced, and we have the resources, the technology and the know-how to do the work ourselves. We don’t pass the buck on client service either. Our lawyers care about our clients and their problems. Our team works closely with the people they represent and keeps them as involved in the legal process as they want to be. Some clients prefer a lot of involvement — others, very little. In either case, communication lines between our clients and our firm are always open. 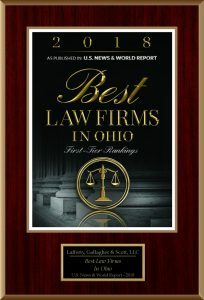 If you have suffered a serious personal injury or are involved in a dispute with your insurance company, call our Toledo, Ohio, law offices or contact us online for a free consultation. All of our partners are AV Peer Review Rated* through Martindale-Hubbell. Out-of-state referrals are welcome for all areas of practice we handle, including personal injury, medical malpractice and insurance claims issues. For a free no obligation case evaluation contact your Toledo personal injury attorneys at 419-241-5500 or email us. Very professional and informative. Thank you to Attorney Jon Lafferty. Excellent service from Mickey Scott. Thank you! This office is extraordinary in the most professional way! Above and beyond in every professional way. Thank you Attorney Scott! 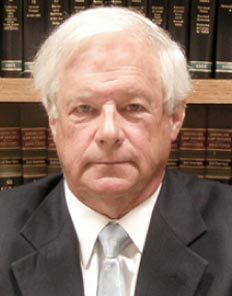 Jon Lafferty provided excellent representation for our auto accident claim. Thanks! Very satisfied by the representation from Attorney Joe Hartle. I highly recommend him and his staff for representation with you automobile accident case. With Attorney Hartle, we felt we had excellent representation. He was personable, always kept up well informed and is a truly excellent person. Five star service all the way around. Very pleased with the service that Attorney Hartle provided. I would recommend him to represent you, and have been happy to refer him to friends who need help. Very pleased with the representation I received from Attorney Joe Hartle in my pedestrian vs automobile accident. He and his staff provided excellent service, and I would recommend him for personal injury representation. Attorney Robert Scott represented me regarding a car accident. Everything went great. The responsiveness to questions and quality of service provided was excellent. Highly recommended! 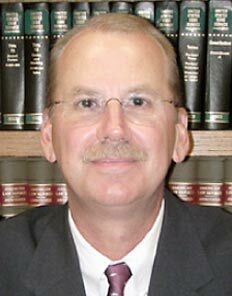 We had the pleasure of working with attorney Jon Lafferty through for our accident claim. He was very easy to work with and kept us updated each step of the way. He really made this whole situation less stressful than we originally anticipated. We would recommend him for representation to anyone! Mr. Lafferty took a difficult process and made it as easy and understandable as I believe it could be. Thank you! Jon Lafferty was very honest and always prompt with decisions, time frames, and appointments. I feel he was an excellent lawyer and I was very pleased with the final results! Thank you!! 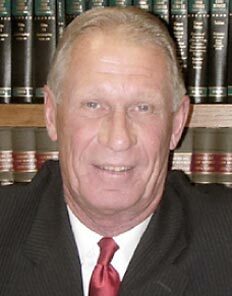 I have been very pleased with the service I received from Attorney Mickey Scott. Everyone in the office goes above and beyond what is needed and expected. I will always refer!! Jon Lafferty is an excellent attorney. From day one, when I first met him, I was explained each process of my case in detail! Thank you! Thank you all so much for everything. I am very pleased with the final results. Excellent communication and responsiveness to client questions. Great service! I would recommend Jon Lafferty for personal injury representation! Mr. Lafferty- Thank you for all the information and your time. Excellent attorney. Auto accident arising from construction defect in roadway. 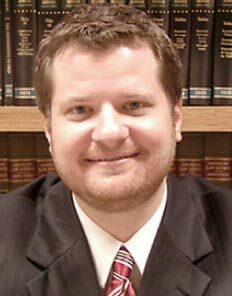 Attorney Scott was very kind and helpful with our automobile accident case, and provided excellent service. Mr. Gallagher did an excellent job on our case. Five star attorney and firm. Mr. Gallagher was very kind and helped to keep me convinced that everything would be fine. I recommend him and his firm. I was represented by Tom Gallagher. Five Star attorney and firm. I have never worked with an attorney before and was surprised how smooth everything went. Tom returned phone calls promptly and answered my questions in plain english and not lawyer speak. I felt very comfortable working with Tom. He was very upfront managing expectations. Attorney Gallagher and his staff made a difficult time much easier! Mr. Gallagher was very thorough, competent, courteous and professional. Mr. Gallagher was wonderful to work with. Very smooth and quick process. Tom and Joe were very helpful and friendly in handling our wrongful death claim. Good job. Excellent communication and responsiveness to questions. Highly recommended. Joe Hartle did a great job representing me in my car accident case. He achieved an excellent result for me, and did better than I had hoped for. Attorney Hartle and his firm represented my girlfriend in the past, and both times have provide us with exceptional service. Highly recommended. The services I received through Attorney Lafferty's office were above and beyond anything I could have expected. Atty. Lafferty from the very beginning explained what he would be doing and how he would be handling our case. Jon was always very straight forward and honest. Also very thorough and trustworthy. I would very highly recommend hi and his associates. Jon is a good lawyer and friend. Gives great advice and has a great sense of humor. Jon went above and beyond for us. He left nothing unexplained. He always made time for us and was very professional and down to earth. Joe is very professional and was on top of every aspect of our case. He also is a very kind and caring man, and always made time for us. After my Husband's accident we had talked to a couple other attorney's & something just didn't seem right, but from the first minute we met Mr.